We'll trade you some info for instant access to our secret menu and $10-off for your birthday. We'll also keep you updated on our latest creations, announcements, and special offers before anyone else! 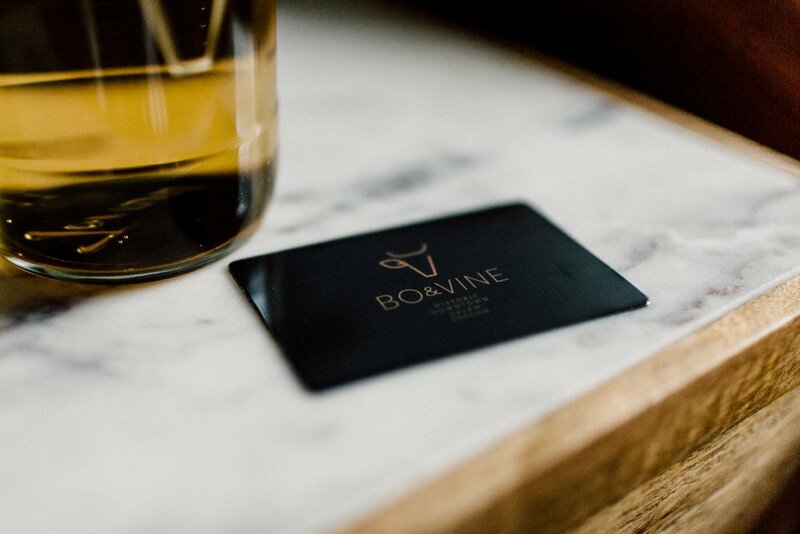 Near the corner of Liberty St. & Court St.
Make a foodie's day with a gift card from Bo & Vine. You can purchase eGift cards instantly online to share with friends, or, stop by and pick up a sleek, black card with a hand-stamped, personalized envelope! We call our happy hour “Social Hours”. Get exclusive deals on food & drinks Monday – Thursday, 3pm–5pm & 8pm–close!